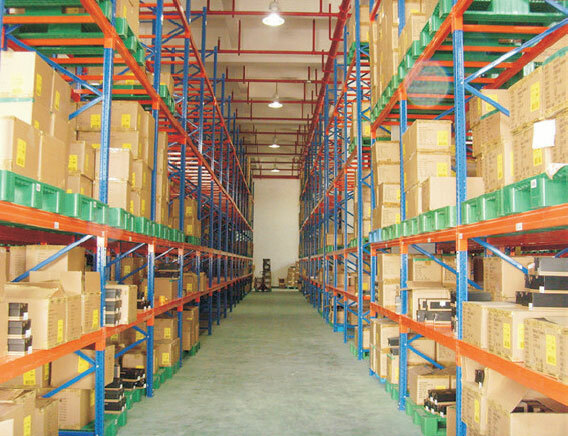 The Heavy Duty Pallet Racking System is a kind of sectional assemblage pallet racking with 75mm layer height as intercept space to be easily adjusted, fit to store unit gathering batches or varies kinds of goods. The pallet rack of the Heavy Duty Pallet Racking System consists of standing column piece, cross beam and auxiliary parts, use a forklift to store or withdraw, any location can be easily reached. The racking is made of cold roll steel with profiled bar section, it enables the steel material bearing capacity exerts to a superlative point, also its safety factor is higher. We can provide all kinds of customized Pallet Racking Systems. Please feel free to contact us and offer us the specifications and pictures of them. We will reply you as soon as possible.